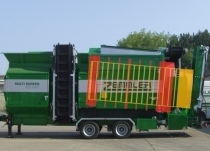 BMD, the Heidelberg-based service company for construction machinery and equipment and manufacturer of the container-mobile crushing plant RA 700/6, has included the double rotary screening plant MS 1600 from Zemmler in its sales and leasing program. 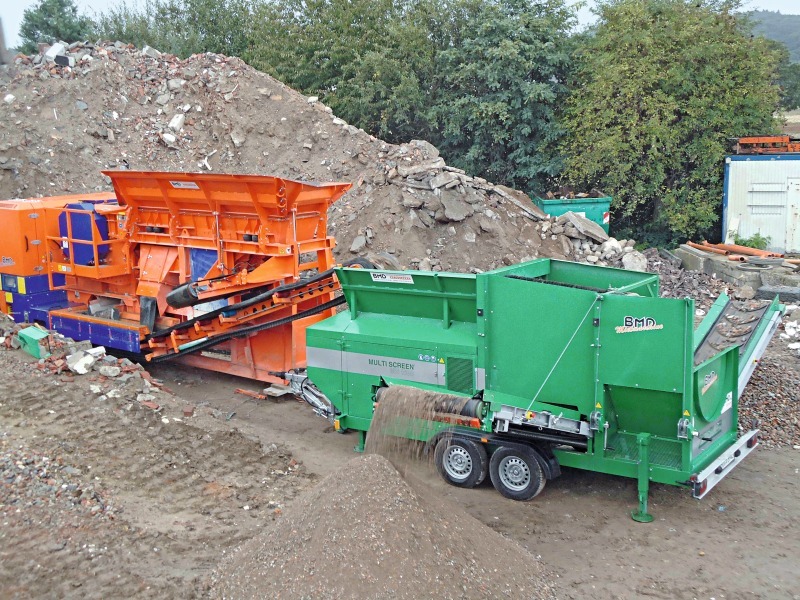 The compact trailer-mobile screening plant makes it possible to screen up to 3 fractions at the same time. 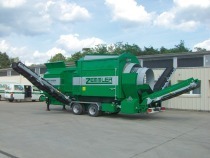 The Zemmler MS 1600 is the ideal completion for the BMD crushing plant RA 700/6 (Fig.) 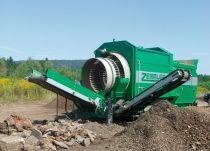 because its crushed materials can be screened directly to get further, demand-oriented fractions via the neighbouring rotary screen. 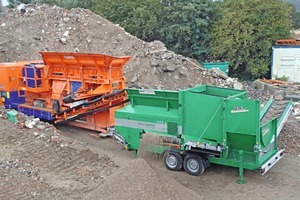 With a feed hopper height of only 2.20 m, the latter can be filled by the smaller wheeled loaders usual in the branch. 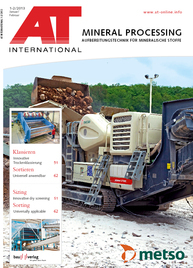 The outstanding feature is the electrically driven double drum. After filling the hopper, the feed is passed to the rotary drum by means of a speed-controllable belt feeder. Here the inner screen separates the coarse lumps, which are larger than 70 mm. Therefore, it can rightly be called a protective function for the second, finer outer screen. The middle fraction is transported to the right-hand side by means of a lateral belt conveyor. Foreign bodies and the fraction of 70/X mm are discharged at the rear end of the drum. In addition to this coarse fraction, the fine material with a particle size of 0/8 mm, for example, is screened via the outer rotary screen and transported to the left-hand side via a second lateral belt conveyor. Mesh widths of 5-80 mm can be used due to the possible replacement of the screening plates. 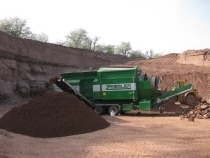 According to a statement of the manufacturer, the screening performance is up to 30 m3/h.